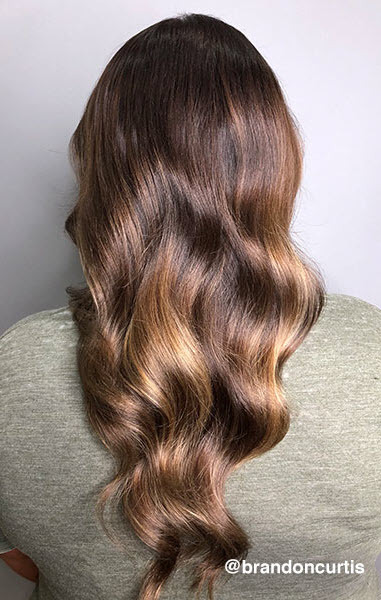 L’Oréal Professionnel Artist Brandon Curtis completely transformed his client from end of summer brass to a cool French brunette with the power of Majirel! 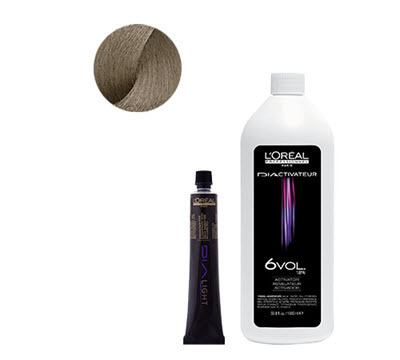 Apply Majirel 5.1/5B with 20-vol. Majicrème Developer at the first 3 inches of new growth as a global retouch. Section the hair into 4 quadrants. In each quadrant, take a ½ inch zigzag subsection. 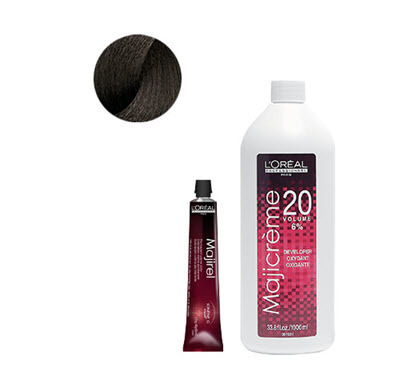 Apply ¾ Majirel 6.1/6B + ¼ 7.1/7B with 20-vol. Majicrème Developer. Isolate sections with Sweet Mèches. Process for 35 minutes. Rinse, shampoo and towel dry the hair thoroughly. Apply gloss globally: DIA Light 8.1/8B with 6-vol. DIActivateur Developer. Process for 5-10 minutes. 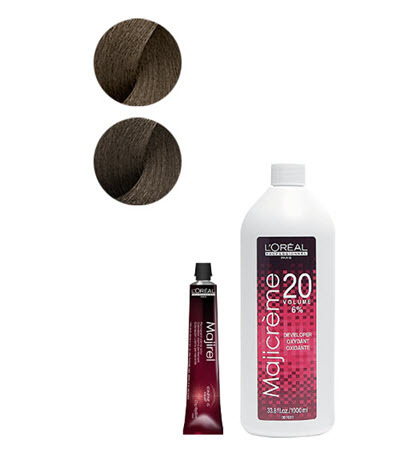 Rinse, shampoo with LUO Post-Color Shampoo and treat with Serie Expert Powermix Color.